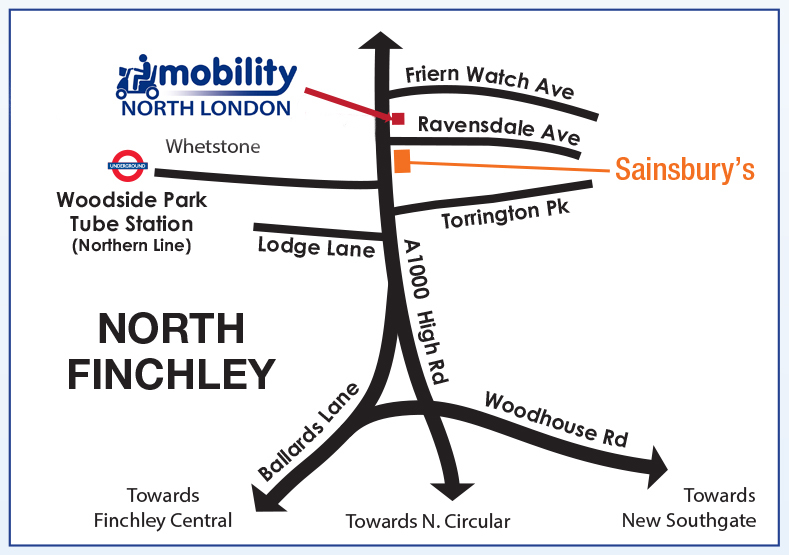 We are located on North Finchley High Road and free parking is available behind the shop if required. Additionally, parking at the front of the shop is free for blue badge holders, alternatively a pay by phone system is in operation. A nearby Sainsburys also offers one hour of free parking. Local buses – 263 and 125 buses both stop within a 2 minute walk from the shop, the nearest bus stop is outside Sainsburys. Alternatively a short walk from Tally Ho bus station.